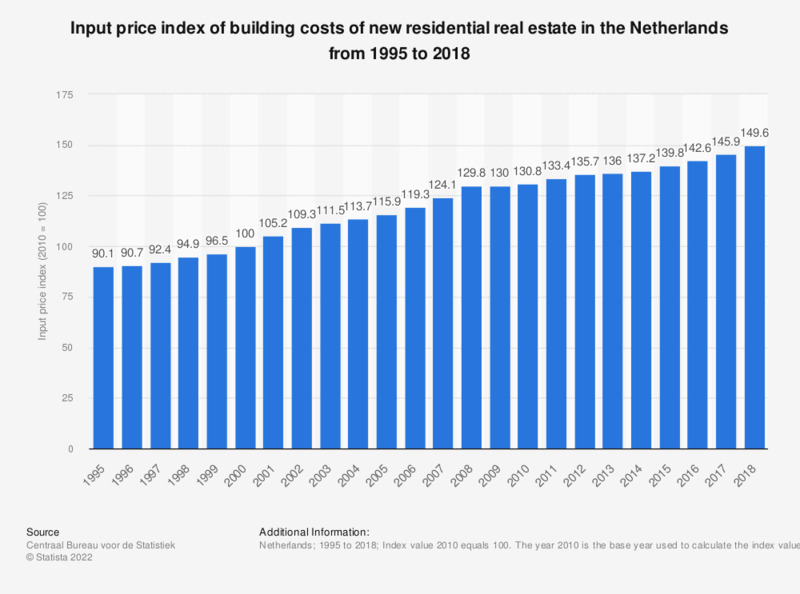 This statistic shows the input price index of building costs of new dwellings in the Netherlands from 1995 to 2017. In 2017, the index reached a value of 145.9. This was an increase from the index value 142.6 reached in the previous year and the highest value reached since 2006. The source states that "These price indices are composed (weighted) of wages and material components." Also, "Changes in the prices of building equipment, general costs, profits and risk are not included in the input price index."